When I was a kid, I was crazy for Nandan and Champak, their simple mythical tales and animated world painted my childhood with many colors. As I grew up, Tagore and R. K. Narayan replaced the lighter reads, progressing onto Amitav’s lyrical prose and Anita Desai’s heartrending tragedies. As I think back, I have realized that my book-mania owes a lot to our Indian writers and over the last few years, I have read and reviewed many Indian books on scribbles of soul. And the more I read, the more new books I discover that entice me with the promise of yet another slice of Indian heritage. 1. A Fine Balance : An outstanding novel set in Emergency Era, strategically focusing on lives of common man amidst political chaos. 2. A Spoke in the Wheel : A historical fiction set in the times of Emperor Ashoka exposing lesser known facets of Buddhism. 3. Baumgartner’s Bombay : A heartrending story of an over sensitive and extremely unlucky German Jew living in India. 4. Chokher Bali : Ordinary story of a temptress transforms into a thought provoking study of human minds in deft hands of Tagore. 6. Dark Afternoons : A poignant tale of two strong women challenging orthodoxy in a subtle manner in this translated novel by Bani Basu. 7. Dawn : An admirable biography of a fictional girl, which is so real that every woman can identify with it. 8. Fasting Feasting : An emotional tale woven around a mentally challenged girl. 9. 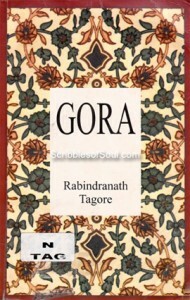 Gitanjali : A timeless collection of lyrics by Nobel Laureate Tagore. 10. Godan : A realistic rustic novel deftly contrasting two extremes of life – abject poverty and dirty wealth in Premchand’s masterpiece. 11. 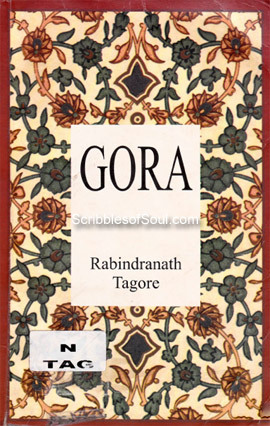 Gora : A true Tagore novel, rich in philosophical debate on politics and religion with a deep understanding of human emotions. 12. Great Indian Novel : A totally different take on Mahabharata where Indian Freedom Fighters and politicians replace usual mythological characters. Innovative, humorous yet thought provoking. 13. Guide : R. K. Narayan’s most famous novel that challenges moral sanctions and questions blind superstitions. 15. Hullabaloo in Guava Orchard : Kiran Desai’s insanely funny debut with just the right dose of sarcasm and irony. 16. Hungry Tide : Practical modernity merged with traditional wisdom creating a heady mix of folklores and offbeat rituals in enticing Sunderbans. 17. Long Walk Home : A superbly executed historical fiction exposing truth behind partition and riots. 18. 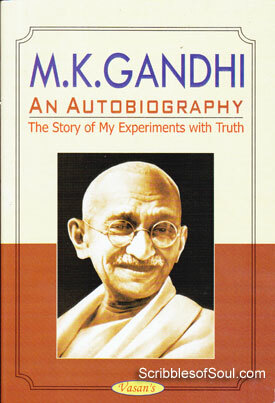 Mahatma vs Gandhi : Focuses on lesser known aspects of Mahatma Gandhi with his wayward son as protagonist. 19. My Experiments with Truth : A must read for every Indian if only to know the true ideals of one of the most revered yet least understood man Mahatma Gandhi. 20. My Sainted Aunts : A rare attempt to bring alive the past of elderly women we take for granted in a short collection of 08 emotionally charged stories. 21. Nirmala : Age-old story of love, jealousy and guilt made extra ordinary by inimitable affable style of the great Premchand. 22. Palace of Illusions : A different take on age old epic Mahabharata, told from Draupadi’s point of view. 23. Queen of Dreams : A story about a simple housewife whose psychic dreams wove a fantastic tale. 24. Sister of my Heart : A beautiful story about two girls who are as diverse as chalk and cheese yet are joined in heart. 25. Srikanta : A slightly lesser known yet epic novel by Sarat Chandra, that would make you laugh, cry and cringe at the same time. 26. Storm : A strong satire from the mighty pen of Kanhu Charan Mohanty, an Oriyan writer, who deserves many accolades. 27. Swami and Friends : Misadventures of Swami in idyllic city of Malgudi makes for an appealing read. 28. Vendor of Sweets : An emotional yet ironic story of an old widower and his son. 29. Vine of Desire : Sequel to Sister of My Heart. Very rich in symbolism and literary techniques. 30. Yogayog : An epic story of a luckless, loveless marriage. Though, at the end of the day, 30 is just a number, I welcome all your comments, recommendations and criticism to make this list more exhaustive and useful. Happy Reading! Thanks for the list. Unfortunately I haven’t read so many of them! 🙁 I should check out some of the books when I get a chance. Yes Richa the more the merrier! Great list…. quite a few books I’d not even heard of (Shame on me!) but I now feel I ought to get my hands on them. And my recommendation: Em and the Big Hoom by Jerry Pinto. Mind-blowing, Heart-breaking book, every word is used so perfectly. It’s a long time since a book brought me on the verge of tears, but this one did. Thanks for your appreciation and suggestion Mugdha. Will surely check it out. I’ve heard a few of the titles before, and only read ‘Swami and Friends’ which was quite nostalgic and hilarious. Thanks a lot for this great list, I’ve bookmarked it. Hello.. I am new to this section. Loved to hear the list. Now I know I have to read atleast few mentioned if not all. Thanks for that. Cheers.